It is 1964: Bert Cousins, the deputy district attorney, shows up at Franny Keating's christening party uninvited, bottle of gin in hand. As the cops of Los Angeles drink, talk and dance into the June afternoon, he notices a heart-stoppingly beautiful woman. When Bert kisses Beverly Keating, his host's wife, the new baby pressed between them, he sets in motion the joining of two families whose shared fate will be defined on a day seven years later. In 1988, Franny Keating, now twenty-four, has dropped out of law school and is working as a cocktail waitress in Chicago. When she meets one of her idols, the famous author Leon Posen, and tells him about her family, she unwittingly relinquishes control over their story. Franny never dreams that the consequences of this encounter will extend beyond her own life into those of her scattered siblings and parents. Told with equal measures of humour and heartbreak, Commonwealth is a powerful and tender tale of family, betrayal and the far-reaching bonds of love and responsibility. 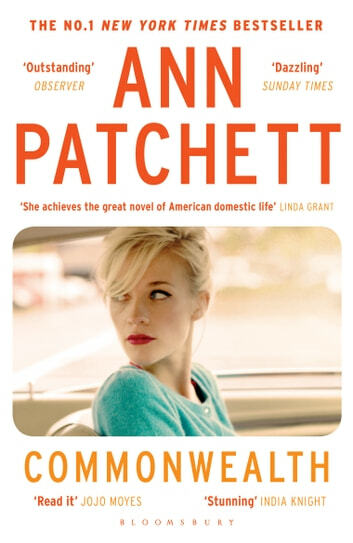 A meditation on inspiration, interpretation and the ownership of stories, it is Ann Patchett's most astonishing work to date. 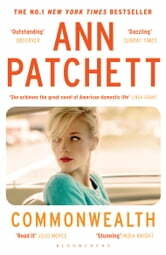 I have not read any of Ann Patchett's previous books. I found it hard to get in to initially but found the second half of the book much better. I didn't enjoy the sudden, unexpected jumping from one character and period of time to another. As her books have been given such good reviews on the whole I will at some stage choose and read another and hopefully enjoy it more. I didnt want it to end! A beautifully written book that weaves together the strands of an amazing famiy saga so skilfully that the reader is rivetted to the page and cant bear to say goodbye to the characters. an absolute pave turner. Family love, hate and dirty secrets. Fabulous! Couldn't put down this insightful story of a dysfunctional blended family.